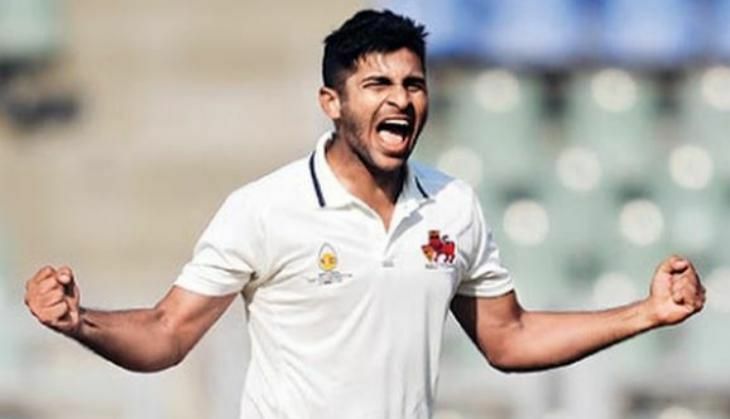 Rookie Mumbai pacer Shardul Thakur was the lone new face in India's Test squad for the tour of West Indies, while a second-string team led by Mahendra Singh Dhoni was picked by the selectors for the limited-overs series in Zimbabwe in Mumbai on Monday, 23 May. The 24-year-old right-arm medium pacer was a surprise pick in the 17-member squad with the selectors reposing their faith in the line-up that had played the last Test series against South Africa at home. Thakur was rewarded for his consistent performance in the domestic cricket where he took 41 wickets in 11 matches for Mumbai at an average of 24.51. His best figures in an innings were six for 107. Varun Aaron, who was part of the team during the series against South Africa, was dropped with a fit-again Mohammed Shami returning to the squad which will have Ajinkya Rahane as its new vice-captain. All-rounder Stuart Binny retained his place in the team announced by new BCCI Secretary Ajay Shirke following a meeting of the selection committee in Mumbai. The team, to be led by Virat Kohli, also had no place for veterans such as Gautam Gambhir, Harbhajan Singh and Yuvraj Singh despite their decent performances in the ongoing Indian Premier League. The tour of West Indies comprises four Tests in mid-July but the exact dates for the series are yet to be formalised. "No one has been rested. No one wrote to BCCI or called us (to say) they were not available or they should be rested. It was the decision of the selection committee to pick a young side for Zimbabwe and another side for West Indies," selection panel head Sandeep Patil told reporters. Kohli has been rested from the limited-overs series against Zimbabwe, scheduled from June 11 to 20, along with Murali Vijay and Ashish Nehra, who is due to undergo a surgery. The selectors have opted to pick a completely new-look team for the tour of Zimbabwe with Vidharbha left-handed opener Faiz Fazal, off-spinner Jayant Yadav, Punjab middle-order batsman Mandeep Singh and IPL star Yuzvendra Chahal being the uncapped players in the side. Mahendra Singh Dhoni will captain the squad as he will be largely out of action due to India's busy Test schedule this year. Squad for West Indies: Virat Kohli (c), Ajinkya Rahane (v-c), Murali Vijay, Shikhar Dhawan, K L Rahul, Cheteshwar Pujara, Rohit Sharma, Wriddhimaan Saha, R Ashwin, Amit Mishra, Ravindra Jadeja, Ishant Sharma, Mohammed Shami, Bhuvneshwar Kumar, Shardul Thakur, Stuart Binny. Squad for Zimbabwe: M S Dhoni (c), K L Rahul, Maneesh Pandey, Karun Nair, Ambati Rayudu, Rishi Dhawan, Axar Patel, Jayant Yadav, Dhawal Kulkarni, Jaspreet Bumrah, Barinder Sran, Mandeep Singh, Jaidev Unadkat, Yuzvendra Chahal.